The artwork was a gift for someone I had never met. I knew two things about her, she liked butterflies and the book of Isaiah. I scoured the book of Isaiah for the scripture that the Lord highlighted to me for her. By the time I had printed the scriptures and collaged them onto the canvas I was near tears, moved by His heart for this woman I didn’t know. There was promise and hope and vision for a future calling. What was all this about? The artwork, the question? The first thing that came to mind for the butterfly when I was asked to do this piece was a keyhole for the body. Interesting, right? Searching on Google did not provide the answers I was looking for, so I called our local butterfly center. I spoke to Jennifer, at Callaway Gardens Day Butterfly Center. I asked her if butterflies and caterpillars eat the same things and she was more than happy to share her knowledge with me. 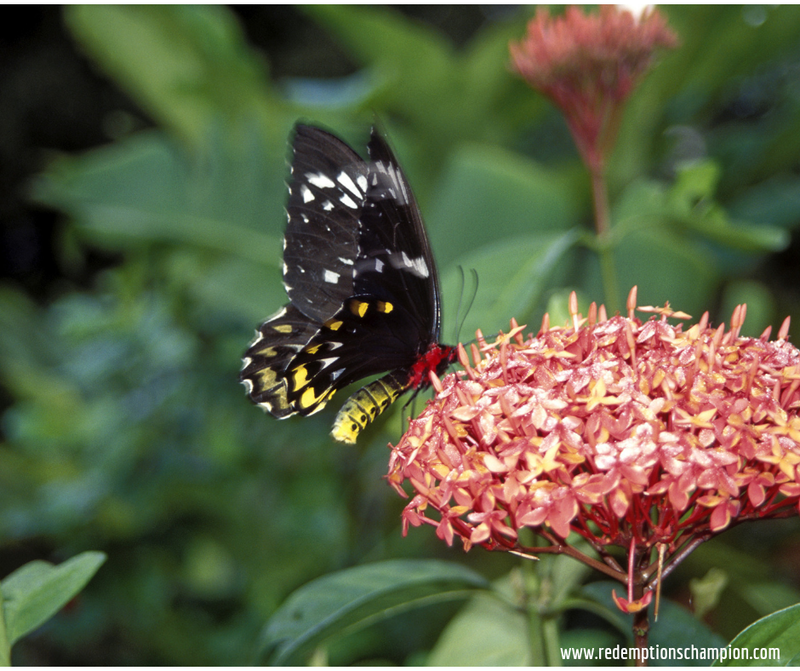 Jennifer explained that butterflies lay eggs on host plants, the plant variety depends on the type of butterfly. The caterpillar then hatches on that plant and that’s what it eats. 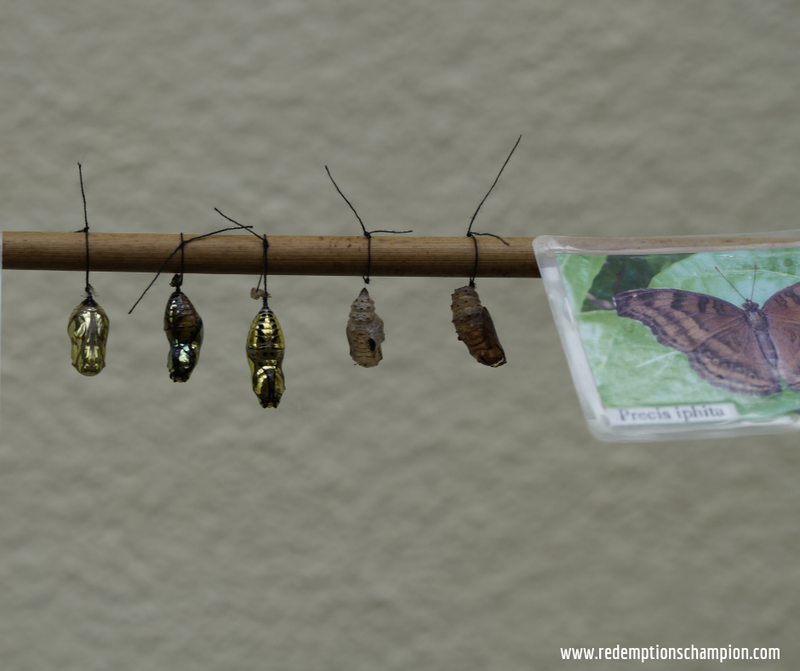 The caterpillar finds a tree, or wall or something similar and forms a chrysalis and the butterfly emerges and the cycle starts over again. 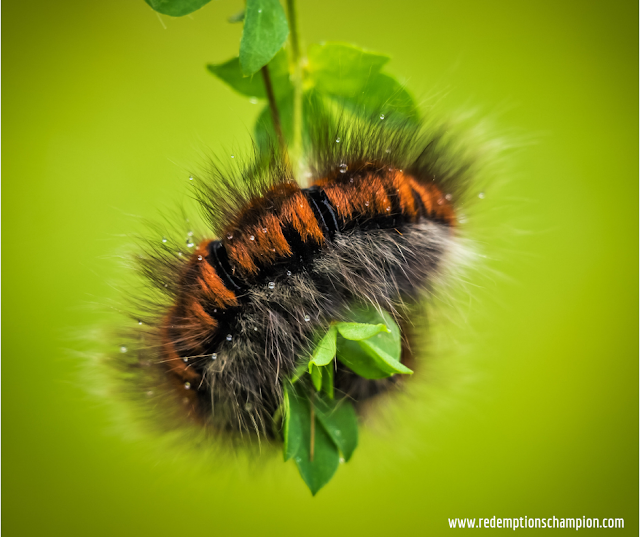 While a caterpillar eats host plants, a butterfly drinks nectar. 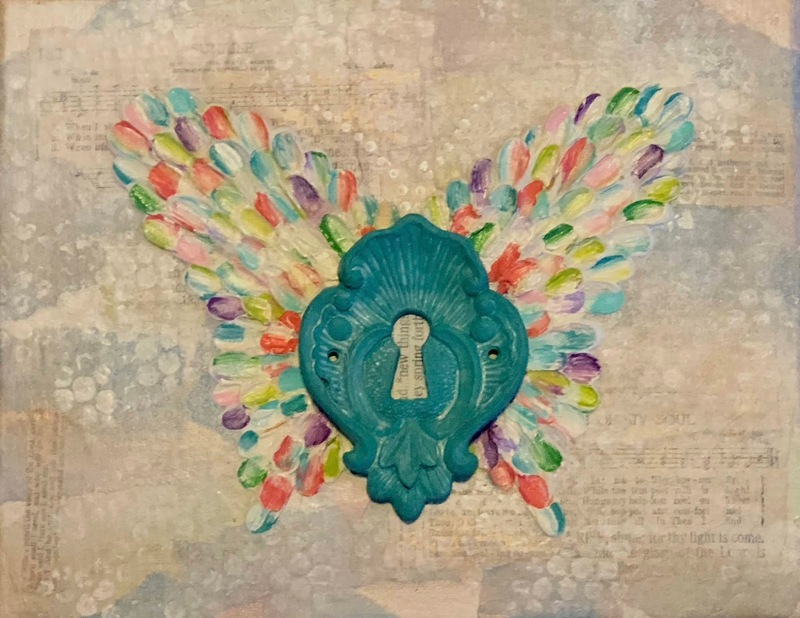 When the gift was received the recipient said, “every word, every scripture, the art piece...you have no idea how spot on all of it was!” Even the name of her new ministry fit with the keyhole! I was in awe! I am grateful for lessons in the midst of creating, art has been a powerful teacher. It reminds me of a podcast I listened to, Art & Faith Conversations with Libby John when she interviewed artist and worship leader Aeron Brown. He shared part of his creative journey when he created collages with his deceased father’s memorabilia and pictures. He came to a point when he could no longer create from that place. He said, “I found out in my 20s that that led me to burnout and grieving and depression.” He had emerged. We are all familiar with the term "tortured artist." Could it be that the stereotypical "tortured artist" is simply an artist that has not emerged? Someone who has not moved past the host plant to drink nectar? Someone who has been made whole, but still lives as if they are broken? Artists create from deep places, places of joy and places of sorrow. The temptation is to stay in the place where the creativity is flowing, but there is always more, always healing. When God heals us, artist or not, we need to move on from that place and consume a new diet. We Must Emerge!